Australian national identity, reconciliation and a little geography. 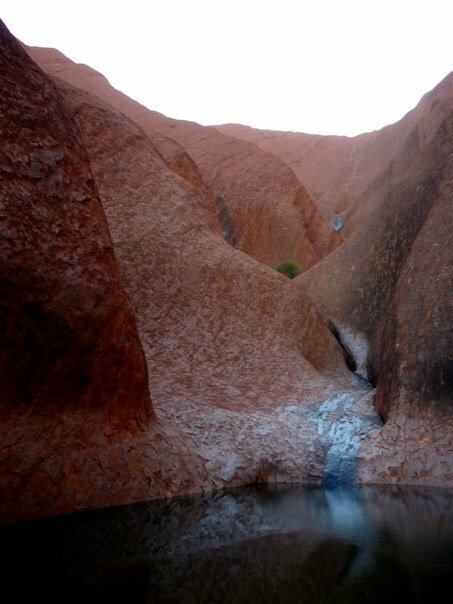 Uluru is more than an image on postcards, it is Australia’s heart. 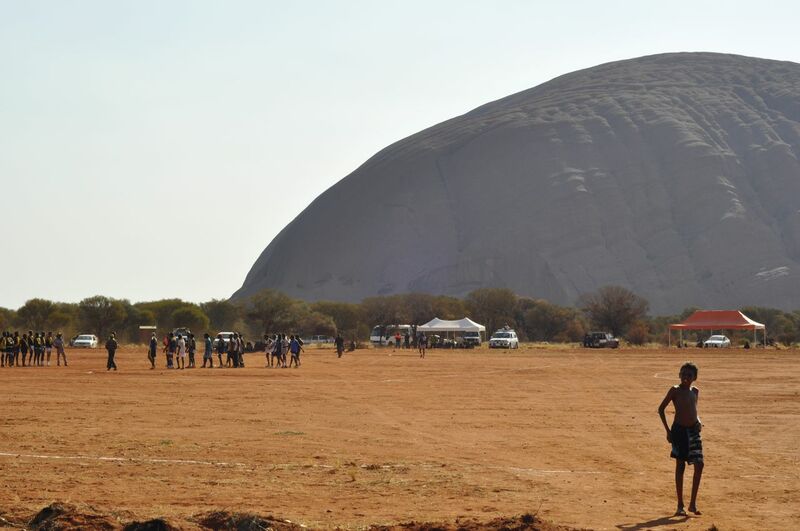 It is taller than the Eiffel Tower and some 12 kilometres around. It is ancient, and in that place I am always reminded of how humans are but a blip in a long continuum of life and nature. Time moves slower out there. It is the only place where I have experienced a connection to place in a way that feels like the connection to country that Indigenous Australians speak about. 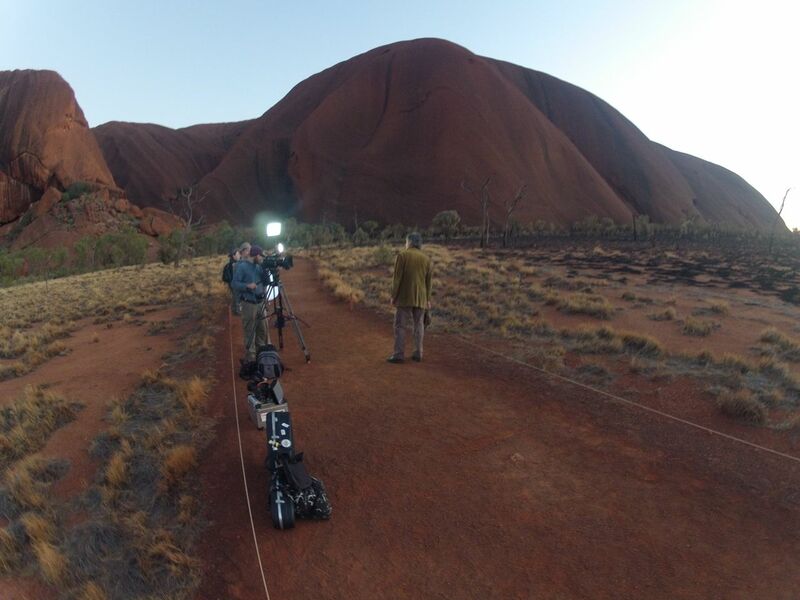 In June of 2012 I traveled to the Mutitjulu community, which is at the base of Uluru, as part of a film crew. It was the first time people from outside of that community had been allowed in since the start of the ‘Northern Territory Intervention’ 5 years prior. This week long shoot had a profound and lasting impact on me. We were there because Shane Howard, of early 80’s rock band ‘Goanna’ fame, had organised a concert for the community to celebrate the 30th anniversary of the classic Australian song ‘Solid Rock’. If you haven’t heard it I suggest you seek it out. 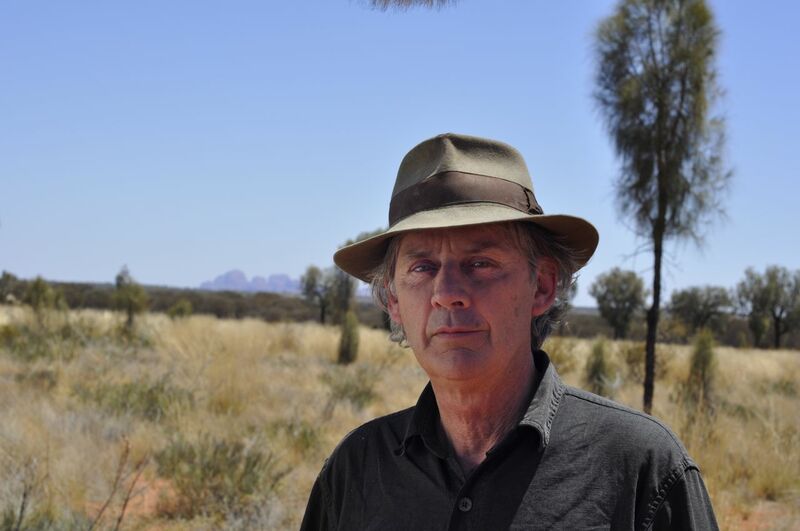 Shane Howard is also one of few white Australians who can speak an Aboriginal language. 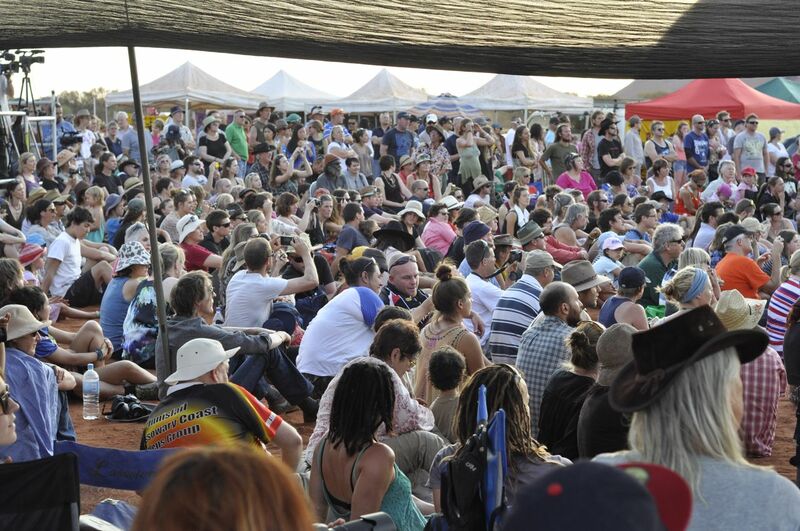 Other musicians who performed at the event included John Butler, Dan Sultan, Bart Willoughby, Blue King Brown, and the amazing Archie Roach. 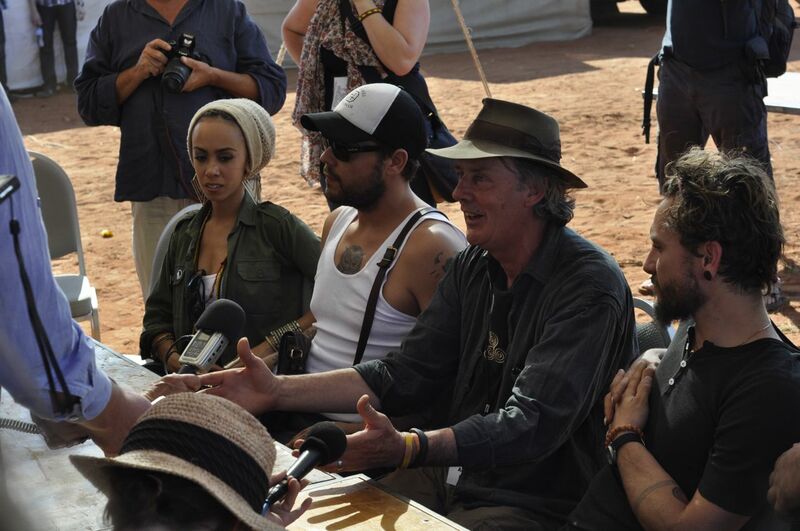 Natalie Pa’apa’a, Dan Sultan, Shane Howard and John Butler. 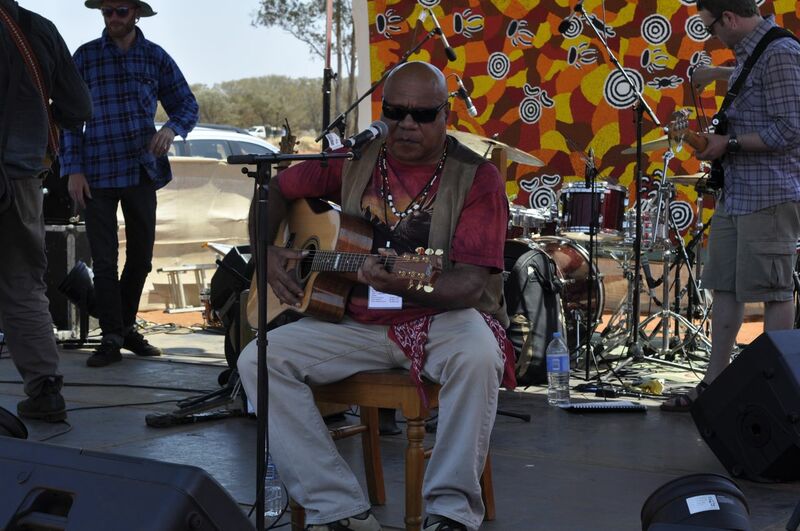 While he didn’t perform, Bob Randall is an influential Aboriginal musician and an elder in the Mutitjulu community. Sitting in his home, which lies in the shadow of Uluru, I listened closely to the conversation between himself and other Indigenous Australians about their culture, identity, and the current challenges facing Australia. One man spoke about how his ancestors had been marched from their homes to Alice Springs with chains around their necks, a journey that took two weeks. Another asked about family connections in the area, trying to trace his own heritage from before he became part of the ‘stolen generation’. I was particularly shocked to hear of the impact that nuclear weapons testing conducted by the British in central Australia had on Indigenous Australians. These are Australian stories, these are part of our past. Someone said that he felt lifted by young Indigenous Australians who were taking ownership of and pride in their Indigenous identity. Rather than accepting the modern narrative of dispossession and disempowerment, there are many who are choosing to look to the strengths and unique achievements of Aboriginal culture and history. Rather than adopting the whitefella view of what it is to be Aboriginal, they are exercising self determination. Listening in the shade that afternoon I realised just how familiar they were with my culture, and how unfamiliar I was with theirs. I felt like every man and woman that whole week recognised me. They understood how I saw the world, and how I saw them. They knew me because they knew my culture. But to me they were strangers, each and all of them. The community AFL field and it’s view. Two boys from the community had recently died on the local AFL field. No one would talk about it but I suspect it was suicide. Official Sorry Business, as I was told it was called, is a solemn event where a family is given condolences as part of the healing process. This had to be done in order to re-open the field. I was there, and every man had to participate. So along the line of family members I walked, my feet in the red dirt, shaking hands with each mourning person while being careful not to look them in the eye. Some of them were sobbing. I felt guilty being a part of such a meaningful and intimate ceremony without any understanding of it. I learned just how deeply important respect is in Indigenous culture. My Australian identity is enriched tenfold when I embrace the Indigenous heritage and story that is intertwined with my own. Aboriginal Australia, both past and contemporary, has much to offer Australia and Australians. During my week in the Mutitjulu community I realised that my Australian identity is enriched tenfold when I embrace the Indigenous heritage and story that is intertwined with my own. Before that week, I had been trying to understand Indigenous Australians through others’ eyes. I wanted someone to just tell me in a few sentences everything I needed to know. But as with a work of art, a novel or a song, the only way to fully appreciate a culture is to learn about it yourself. You must find your own understanding and appreciation of it if it is to affect you. My prosperity as a white Australian is built on a history of Aboriginal suffering, but I am only guilty myself if I act the same way as my forefathers did. There is no hypocrisy in acknowledging a negative past while enjoying a bright present so long as you are working towards a better future. We must demand the gap between Indigenous and non-Indigenous Australians be closed in terms of life expectancy, infant mortality, education levels and we must all, as individuals, work towards closing the gap between us and them in a relational sense. Aboriginal Australians have spent some 300 years learning our ways, by force or by choice. It is time for all non-Indigenous Australians to learn about them. After all, learning about them is learning about us. We are all Australians, and it should feel that way. Part of the crowd for the concert. 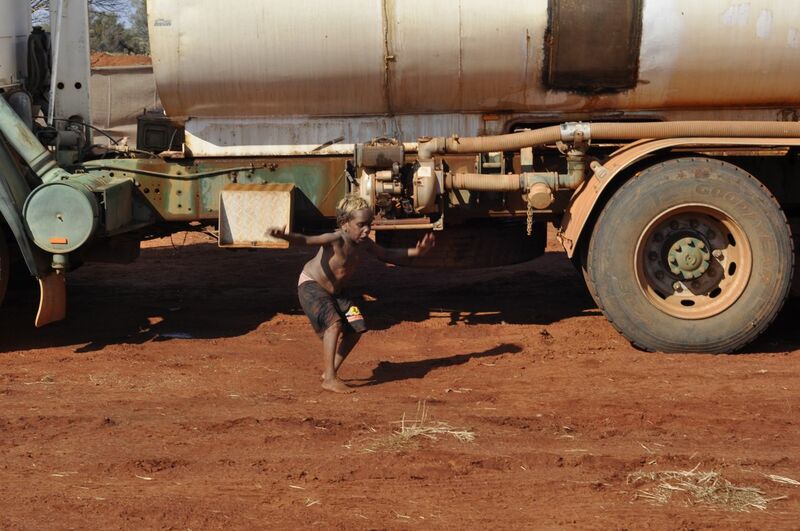 A young boy plays near the water truck. 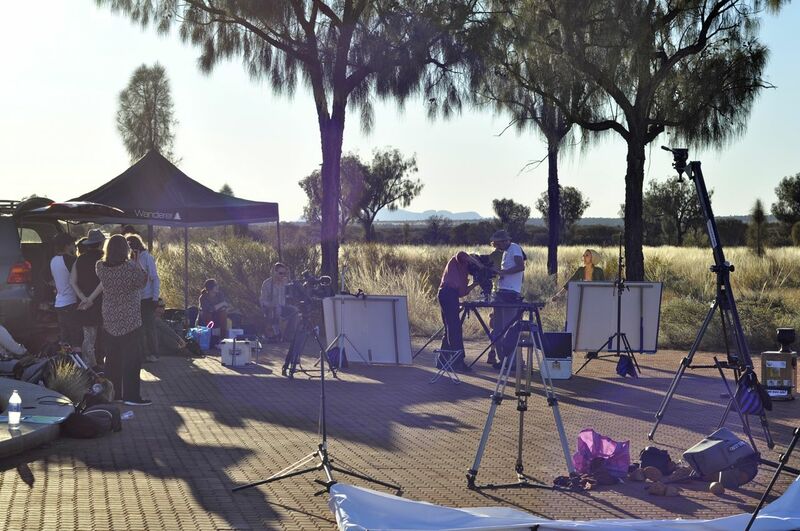 Shane Howard being filmed near Uluru. If you would like to learn more, HERE is a list of resources that you might find useful/interesting. I also recommend ‘The Biggest Estate on Earth‘ (which I have only partially read – my copy is back in Aus). Images are thanks to www.bencu.net and www.shanehoward.com.au/. ← Three Months in Jordan!